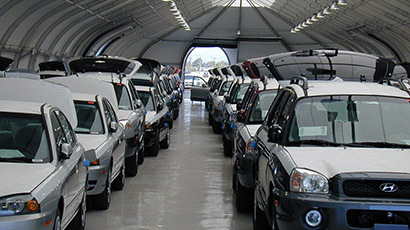 Discover how the Sprung Advantage perfectly applies to industrial facilities. 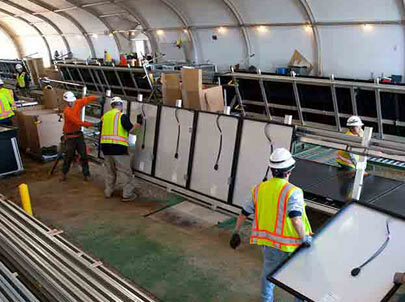 Sprung has an unmatched reputation for providing innovative building solutions to market sectors around the world for over four generations. 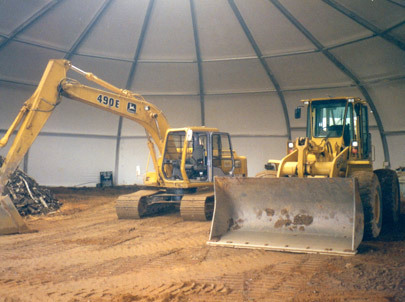 Whether you need Sprung for permanent or temporary structures, you can count on them being inventory-ready and quick to build. 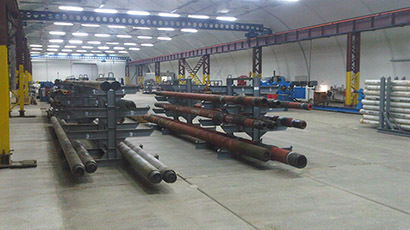 Offering total design flexibility, Sprung structures can be dismantled, reconfigured, re-erected, or relocated for any number of industrial building applications. They are also engineered for superior performance, all-weather durability, and cost-effective energy efficiency. 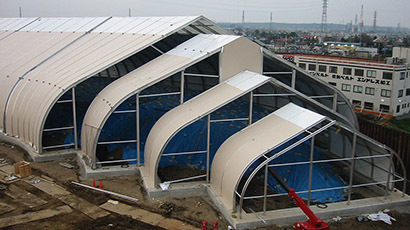 Sprung’s versatile industrial fabric structures exceed the needs for almost every building application. 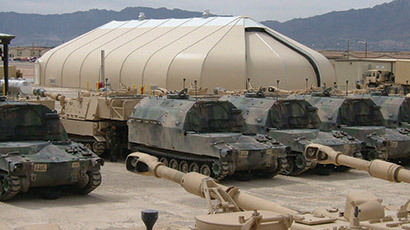 Sprung provides permanent and temporary tensioned fabric buildings that are proven to perform in some of them most rugged and demanding environment on the planet. Sprung structures are precision-engineered for any construction application. 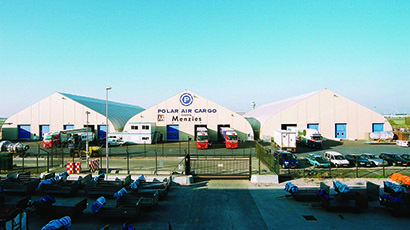 Our fast, durable and relocatable temporary buildings are assembled and disassembled quickly for maximum versatility and minimal downtime. 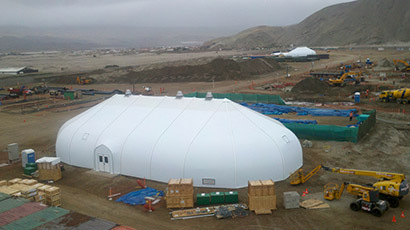 An innovative option to traditional industrial tents, Sprung provides cost-effective, all-weather protection from the elements. 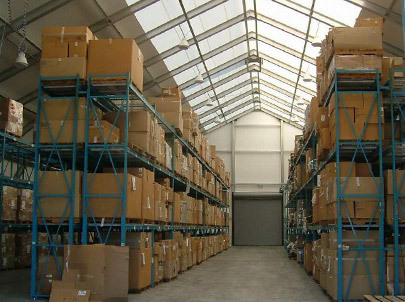 Sprung structures offer immediate permanent or temporary structures from inventory, to meet any warehousing facility needs. 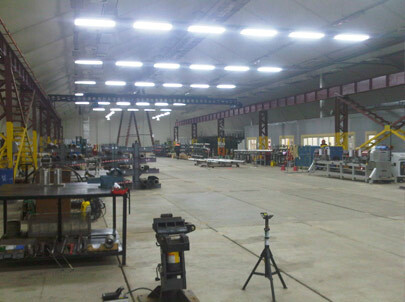 Sprung industrial fabric buildings can be assembled in less than half the time of conventional construction, and are designed to provide a bright, energy-efficient and spacious interior—which makes an ideal warehouse space. 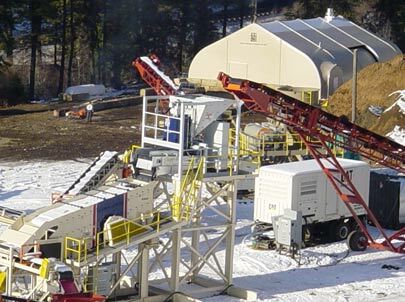 Sprung buildings are perfect for environmental applications that require fast, efficient, and relocatable buildings that can handle extreme weather and are non-destructive to eco-systems. Adhering to international standards and Green technologies, Sprung is committed to minimizing our global footprint. 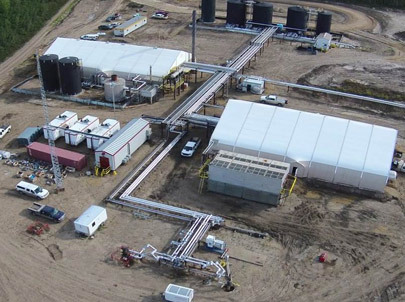 Sprung structures are engineered to withstand the harshest of climates and are well adapted to meeting the needs of the oil & gas industry. 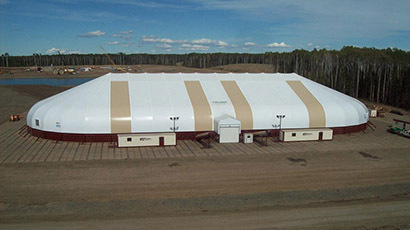 A flexible, cost-effective temporary facilities solution for any project, Sprung provides many options – including temporary or permanent industrial structures. 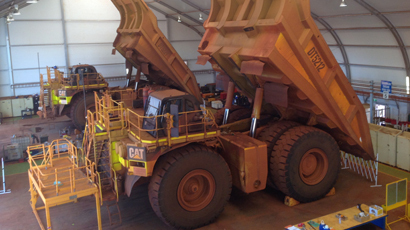 Sprung structures are a proven solution for many mining applications. 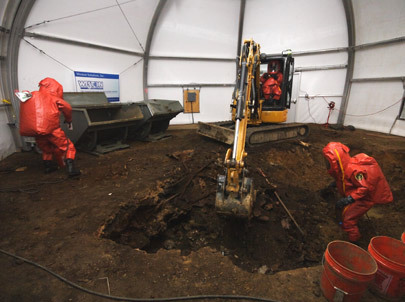 With projects typically requiring quick, re-locatable facilities in remote locations around the world, Sprung is specifically designed to meet these challenges. 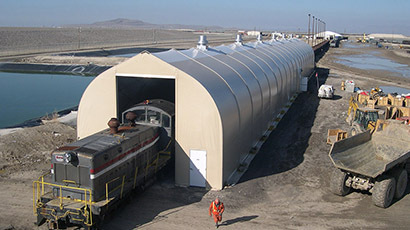 Designed for extreme weather conditions, our industrial fabric structures can be delivered, built, and even crane-lifted into place in extremely challenging conditions. 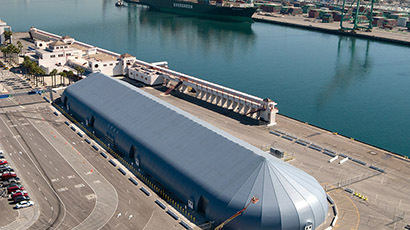 Sprung structures are the solution of choice for the Power and Energy sectors. 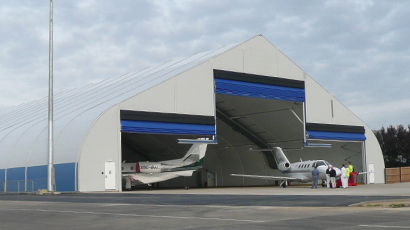 With projects typically in need of quick, durable, relocatable building options, our industrial fabric buildings are perfectly suited. 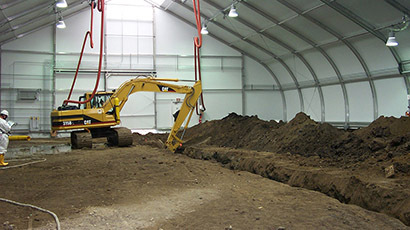 Sprung designs are available in widths of 30–200 feet, in any length, are quickly constructed, require a limited foundation in most cases, and can be leased with option to purchase. 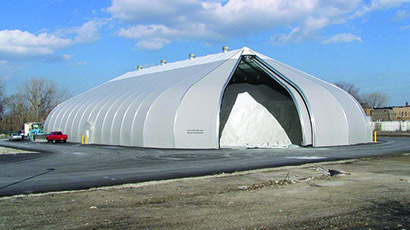 Sprung’s heavy-duty industrial tent structures are the perfect solution for many applications in the manufacturing industry. With a flexible structure design, engineered for ease of movement, our building options cater to specific manufacturing challenges. Even in relatively short-term applications, Sprung structures help reduce energy costs, require a limited foundation, and are built quickly – at a rate of 1,000 square feet per day.